Is there such a thing as truly random colour choices? What do you think? Can you really make random colour choices? I can’t. 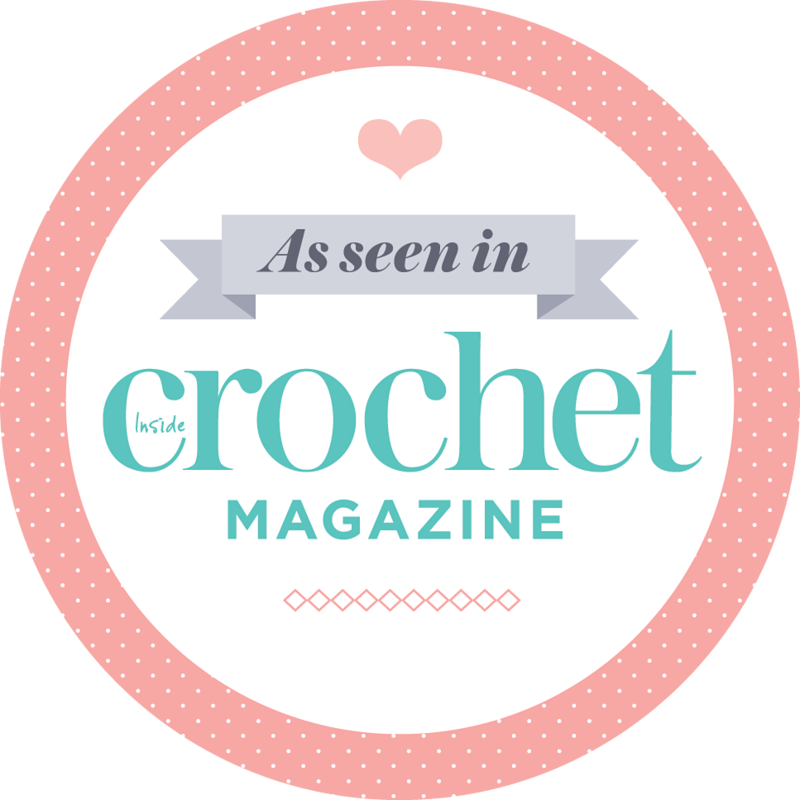 I certainly try, but when I look back on my crochet project I usually see that I actually gave preference to a certain colour, or a combination of colours. You see, when I choose my colours I act on what feels right. I have a specific taste, I like to put a warm colour next to a cold colour, I like a bit (okay a lot) of contrast. So every time I started a new square I chose what felt right for that square, in that moment, forgetting the big picture and certainly not choosing the colours outside my “colour comfort zone”. There’s absolutely nothing wrong with choosing colours based on what feels right to you, but when you’re trying to achieve randomness, that’s not going to fly. So, how do you achieve random colour combinations? For stripes, the Biscuits and Jam random stripe generator is the answer to your prayers. A true godsent. I used it for the stripes in the Identity Crisis blanket. And let me tell you, not having to think of what colour to choose for the next (millionth) row, was a great help and sped things up in a huge way! I could not have done the I.C.B. without the random stripe generator. But what do you do when you have motifs or granny squares that you have to create or join randomly? 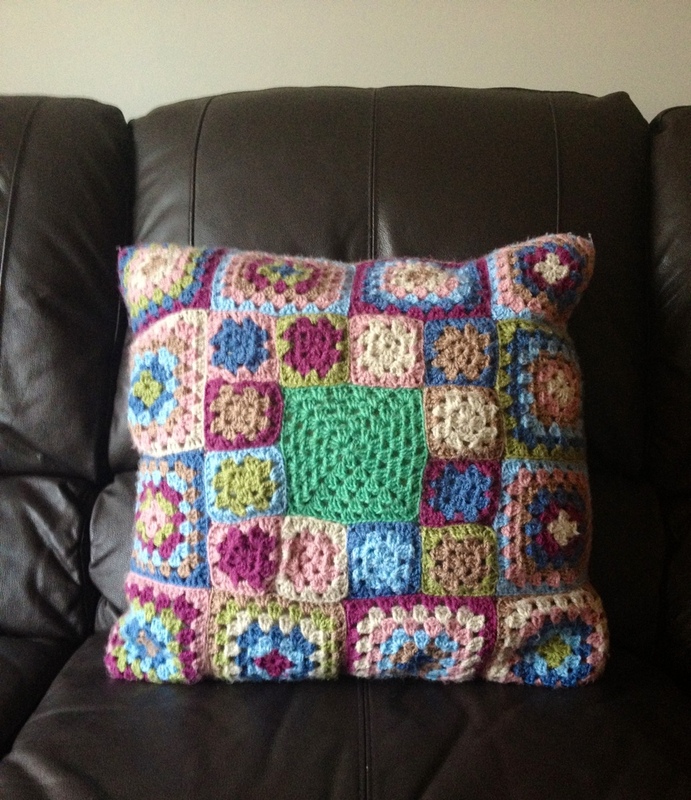 Sarah London says in her book Granny Square Love, that she picks up whatever colour is closest to her. That could work I suppose, but not for me. I crochet in a small space so I have a very small pile near me and every time I put something back, it’s just going to lie on top which means I’ll just reach for it again. Even though I want something to look random, I’m not a random kind of person. I’m a planner. A list maker. A “know what comes next” kind of person. So I need to cheat randomness. For Nicole’s granny square blanket that I’m working on now, I devised a plan to make my granny square colour combination appear random. Planning randomness is a great contradiction in terms for a reason; about half way through I realised that it wasn’t working. I kept on getting the same combination of three colours next to each other. I had to modify my plan, but I’m still sticking to a plan. Me needs me my plans! What do you say? Are you able to make true random colour choices? If you do, how do you do it? You can answer by leaving a comment. I’ll do the follow-up blogpost on Monday the 20th of May, so you have until the 19th of May to let me have your comments and tips. I’m looking forward to hearing from you! use the list function. ..then name the colours – either generic terms, or cmyk values. then let it randomise! Thanks! I was hoping you would read the post and give me a super duper clever answer! What a cool post and interesting question! I’ve been trying something new recently, which is a fun thing in itself. For crochet to wear, I’m experimenting with choosing colours based on what suits me (or the person I’m making for) according to the ‘Colour Me Beautiful’ palettes. I’m sure everyone has seen those books about what to wear according to hair/eyes/skin tone? 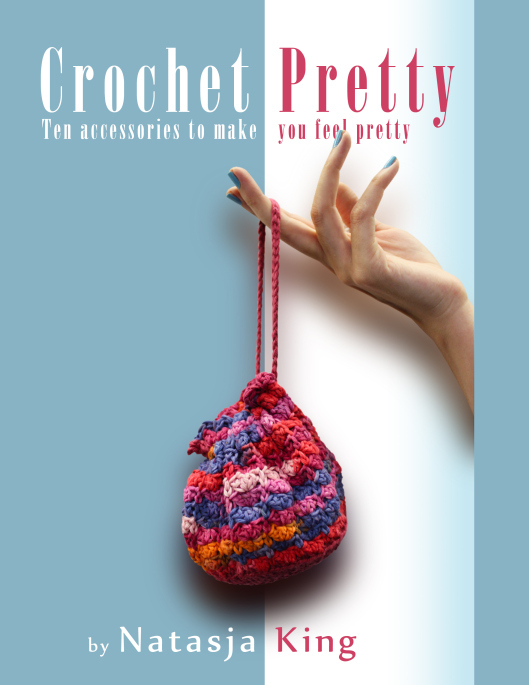 Well there’s even a phone app now which makes it really handy in the yarn store! It’s pushing me outside of my regular comfort palette and into new directions. Looking forward to hearing everyone’s ideas. Very interesting! I love Colour me Beautiful. Will definitely try the app for yarn purchases! Very interesting post, especially as I need to start working out hwo to join my CAL blocks together. I am a lot like you I think. I try really hard to randomise things but in doing so it becomes a bit ordered!! Perhaps this is why, when you put your iPod on random shuffle, it keeps going back to the same artists?? Is it Chaos theory?? You know, all those pictures of fractals which are random but ordered?? I have a book somewhere called Chaos in Nature which has photos and examples of Chaos theory in nature. All the photographs show natural patterns. Might have to go hunt it out. Random itself is interesting as we think random means no repeats but in reality random will often mean that happens. Think of the lottery. I am always amazed at how often consequtive numbers come up. I don’t think of that as random. I am like you however and have to plan random although i yhink we try too hard to be random. What a nice blog post to read. My colour choice almost never happens just like that, I try and re-look combinations in both daylight and artificial light. I often fall back on colours that give me a good feeling. Why would I not do that? I think it’s fun to create unusual combinations but again often with the colours that I love. I have a similar problem in that I have a ‘flavour’ (read colour) of the month/quarter/year(s). Once you break away from all its’ colour wheel colours (opposites, direct neighbours, slightly opposites), you are still left with left-overs of that particular colour. Thrift then starts playing a role, because you are left with some of that colour, and in most cases, lots of it – after all it was your ‘flavour’. I found that it works if I ‘hide’ it from myself for a while, or try a different shade of the same colour family, but not the exact shade. Somehow it starts to fade from your conscience, making place for that new ‘flavour of the month’. I like the idea of hiding a colour away for a while! I’ve done random – by buying yarns from op shops (forcing me to use the limited choices available) and then picking the colors without looking. Its fun but the result is very messy.